This illness is a bit more askew in the complete translation. 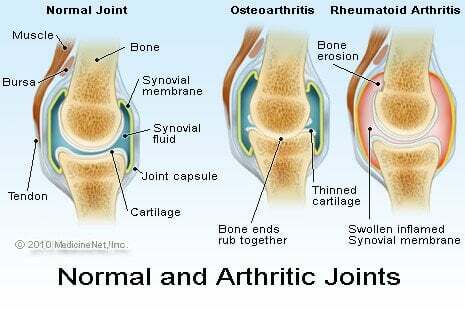 Arthritis is very clear as I hope you can agree. Before I continue on this topic I would like to clarify that there are types of Arthritis and I will only mention the three most commonly occurring ones to give you a bit of an idea or understanding. Juvenile occurs in people during their physically formative years before adulthood and seems to most often resolve itself by the time adolescence and puberty are finished. Osteoarthritis is likely to be the type that immediately comes to mind when you hear the word Arthritis. It occurs basically from ‘wear-and-tear’ of the joints, so it is frequently found in the older generations and it eventuates in areas of high mobility over years and years of use. 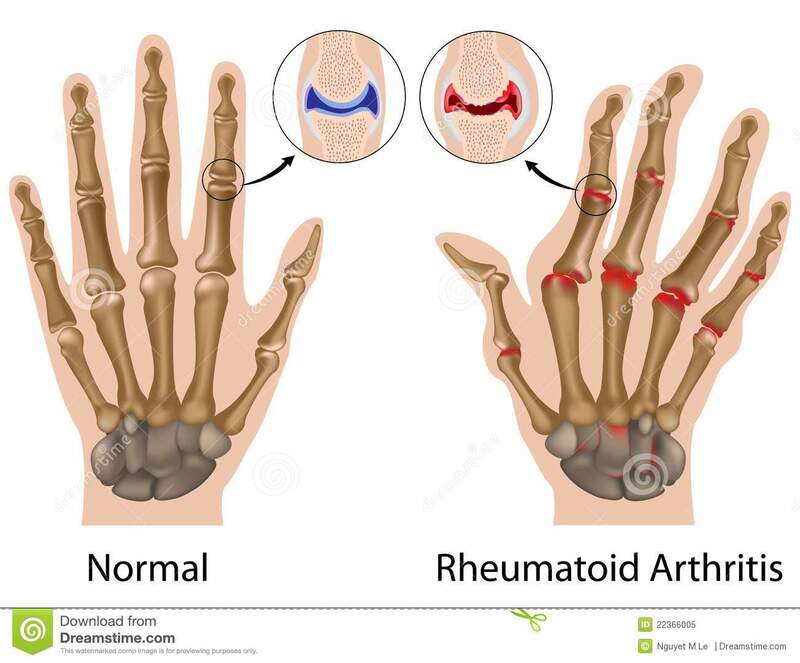 Rheumatoid Arthritis is an autoimmune disease in which the body attacks its own joints by incorrectly assuming the cells in these areas are foreign. Inflammation arises at the joints due to the friction caused by movement. The components which a joint is comprised of become inflamed and this swelling creates pain and tenderness. From here stiffness and weakness are highly probable outcomes. There is no way of knowing exactly why some joints are affected and not others, what causes the inflammatory flares and when the flares will occur. I have also spent much time trying to discern what occurs within the joints on a near cellular level, however I could not find anything that I could interpret without gaining a lot more medical knowledge so I will have to keep working on that. I have spoken to many adults of older generations to understand their Arthritis stories and their experiences. Part of my investigation was concerned with the superficial impact of the disease on joints since I had noticed that many of the people was talking to had ‘gnarled’ knuckles on their hands. It was explained to me that decades passed the treatment for Arthritis was not very effective and doctors would try what was available to them to help remedy the pain and inflammation. As there was not an effective treatment and the usual course was to change often between medicines the sufferer would continue to feel the effects and experience the swelling and erosion of joints regardless of treatment. The gnarled joints often occurred in the first few months after diagnosis as the medicines were tried and failed and so were very unlikely to be seen in younger and more recently diagnosed sufferers. In 2009 I was dating a young photographer. We were both attending the same technical college of arts in North Perth, Central TAFE. He came down with severe aches that could not be ignored or covered with the typical painkillers. The pain was ongoing and when he took his concerns to a doctor he was diagnosed with Glandular Fever. Shortly afterwards my body took a similar downward spiral into a world of pain. The photographer had been in pain yes but he had seemed to cope with his better than mine. It was only a few weeks before I was not able to easily get out of bed each day. Holding small items or performing fine motor movements proved an elusive and unreachable task. Even standing with an erect back was out of my reach most days. It was with great pride I look back and can say I never missed a class during that time, even though I was barely presentable when I was there. My mother guessed I may have contracted the illness off the photographer and was simply not coping so well. She made an appointment and I took my poor body off to the doctor. I had only seen this doctor once before but she had seemed okay. She recalled my past history with Idiopathic Thrombocytopenic Purpura, as well as my short bout of Ross River Virus and so when I presented with more pain complaints and trouble sleeping she simply took my bloods (blood tests), checked my pulse, temperature and had a feel of my joints and organs. When I returned a few days later for the results the doctor, Evs, informed me my Rheumatic Factor was unusual and gave me a referral and the name of ‘an amazing specialist’. The specialist was a Rheumatologist, which is a doctor that specialises in inflammation, rheumatism and chronic joint pain. My doctor was very tight-lipped only ordering more tests, feeling the joints and internal organs and taking my pressure. I had X-Rays of my hands to track and locate sites of inflammation, bloods to identify my complete blood (CBC), red and white blood cell counts (RBC and WBC), my platelets, Haemoglobin, Globulin, Phospholipids, Rheumatoid factor and my Antinuclear Antibody (ANA) count. These are all components of the blood or fluids which are involved in various bodily and immune functions. Your immune system is the reaction your body has to foreign cells invading the body. When a foreign cell is identified the body identifies what that cell is made of and then creates an opposite to it which will attack it and remove the threat. These ‘opposites’ are antibodies and it is their sole role to attack the threat and remove any foreign cells from the body before they can do harm. These tests are all important in diagnosing Rheumatoid Arthritis because it is an autoimmune disease in which the body mistakenly identifies its own cells as foreign and so creates antibodies to attack them. The Rheumatoid factor is a test to identify if this process has already begun in the sufferer as it is looking for a particular antibody protein which will attach itself to key locations in the body. The Rheumatoid Factor is present in 80% of RA patients and indicates how aggressive the disease is. The treatment for my RA, as with most sufferers of this disease is an ongoing regular dose of Disease Modifying Antirheumatic Drugs (DMARDs). The specific medicine I took was Naproxen. Naproxen is a Nonsteroidal Anti-Inflammatory Drug (NSAID) which alleviates the inflammation thereby relieving the larger concern of RA. I was only on Naproxen for a short time before I began to notice an incredible improvement in how my disease affected my body and life. I was on a daily dose of that particular medicine for over five years and can honestly say the days I forgot to take my pill were noticeably horrendous. It was only with the help of the Naproxen that I was able to collect up the pieces of my life again. For more information on this illness please contact your local Arthritis Organisation. If in doubt, there is one in every country and in most capital cities. If you need help contacting yours, or would like to discuss information with me please use my contact form.